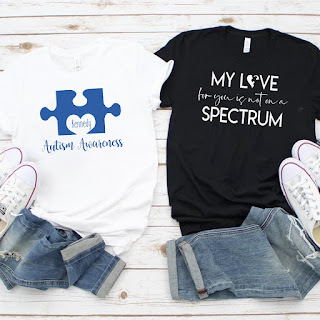 Right now Autism Awareness Graphic Tees | XS-2XL $13.99 (Retail $28). National Autism Awareness starts April! Buy one of these tees to show your support! They are super soft and super comfy! Pair them with a cardigan and your favorite jeans for the perfect Spring outfit!